Kellie of Mama Pyjama explains exactly how to deal with the ups and downs of motherhood in her post Routine Disruptions. Children don’t come with a manual for a reason…they, like us (as parents) are all different. Sometimes there’s peace in letting go and accepting things for what they are. It’s ok to break the rules sometimes, and to go against the advice of experts, friends and family. It’s ok to follow your gut or to do all the ‘bad’ things if it means you’ll get an extra bit of sleep, or a break from the crying. These days don’t last forever, it will fall into place eventually and you will get your life back and some semblance of routine. The time to get there just sometimes takes a little longer…but why cause yourself further stress by trying to do things that just aren’t working just because it is the best approach for the majority? Cassie Hamer of Mum plus More shares her story of a very public child meltdown in her post My Lowest Parenting Moment. I don&apos;t even need a millisecond to recall my lowest parenting moment. It happened when I was 36 weeks pregnant. I was taking my 20 month old to Gymbaroo which, a movement and music class for 0 – 5 year olds where the kids spend half the time doing &apos;free play&apos; on the play equipment, and the other half doing group activities, like singing, dancing and playing musical instruments. Except that my 20 month old decided she did not &apos;do&apos; group time. Not only would she not do it, she decided to scream about it, very hysterically, while thrashing about in my arms. Keri Arkell of Awesomely Unprepared tackles the sticky subject of having another baby and what to do when people ask in her post So…when do you think you&apos;ll have another one? As many of my friends with toddlers are already pregnant again, I can’t say I feel no pressure at all right now. I get paranoid that my winter comfort eating will put me on bump watch and that my denials of pregnancy will only make people believe I’m protesting too much (I probably am protesting too much but it has nothing to do with any baby news – just my paranoia)!! Sarah-Joy Pierce of Love Bites writes about some very special new additions to her family in her post Puppies…I can&apos;t believe it! We had not been gone 24 hours when I received a message at 1am from our dog-sitter to say ‘congratulations, you’re a grandma!!’. This did not make me feel any better about celebrating my 23rd birthday…talk about ageing quickly! I think that she had them early purely out of spite because we left her for a week – you know how dogs get when you pull out a suitcase? This was ten times worse. The puppies were a whole week old before we met them! Read the rest of Sarah-Joy&apos;s post here. 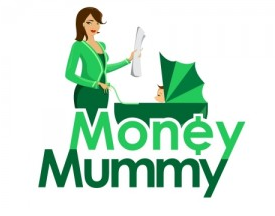 Shelley Marsh of Money Mummy continues the conversation about how to make grocery shopping as affordable as possible with her post Coscto Membership – is it worth it? On every product, Costco performed better than my local store. On some products the savings were substantially better than others, but I think an overall average saving of 15% makes the membership fee and 30 minute drive worth it for me. I think the savings would have been even bigger, if I had included fresh meat or vegetables but we have a small family and do not have enough room in our fridge to freeze the excess. For example, lean mince is substantially cheaper than my local store at $6.99 per kilo but I would have to buy 3 kilos at a time, rather than the 500g that I buy now. If you have a big family then I think the savings over time should be worth it and I will be planning a trip to Costco for Miss Money’s 3rd birthday party supplies. Read the rest of Shelley&apos;s post here. Louisa Simmonds of My Midlife Mayhem talks about learning to ski later in life in her hilarious post The Middle-Aged Skier. This type of middle-aged skier has either never skied in their life before their forties, or skied once or twice at the expense of some wealthy, tossy, private school friend who took pity on them. They assume before they get on the slopes that skiing will be like learning to ride a bike – that once they get it, it will be a skill for life. Linda Young of My Journey tackles the premise that no-one really changes in her post You Can Change. He was thinking about the wife he left behind when he first went to Townsville, or the wife he used to have about 5-6 years ago – the one who wasn&apos;t very flexible about things, the one who liked to know exactly what was going to happen and when it was going to happen, the one that you didn&apos;t spring surprises on because she couldn&apos;t deal with things not being ordered, the one who lived and died by lists and doing what was on those lists. What he has instead is a wife who is much more flexible, who realises that plans change and life is about going with the flow and not stressing when things don&apos;t turn out quite like planned, who accepts that sometimes we can&apos;t control what happens to us, we can only control how we react. Read the rest of Linda&apos;s post here. Caylie Jeffery of Distractions of a busy mother describes her experience at her child&apos;s first official sports day in her post The power of sports day. The air has been abuzz with excitement since he came home from school yesterday, telling us that he had to have an enormous breakfast before his race, because he&apos;d need the energy for his run. When questioned about his feelings on winning races, he casually said, "Oh, it&apos;s okay- there&apos;s no way I can win because I&apos;m not the fastest kid in my class," working his way on to breakfast #2. His little sister, just as chilled, said, "You don&apos;t have to win. You just have to do your best, isn&apos;t that right, Mummy?" Everyone nodded, toast in mouths, and that was that. Josefa Pete of Always Josefa asks how we define a family and shares her thoughts in her post What defines a family. My family is the burden that I carry and the solace to my soul. From behind the camera I capture the memories, immortalising each one. Yet, the images are empty without the people. People who can tell the stories. Stories that have no room for ego or hate. Stories that are shared with one common connection, family. As time passes and our road trips continue the destinations will keep changing. The moments will always be different. The memories may even fade. But the soul will never forget just how important it is to have family. Just how important it is to keep adding links to the chain. Lauren J of Gold Coast Mum shares her experience of being pregnant with twins (clue: carbs are mentioned several times) in her post TWINS on board. Read the rest of Lauren&apos;s post here. Dragana Lolic of Light.Love.Soul opens up about her painful yet healing expereince in her post Healing power of a break up. From the outside our relationship looked picture perfect. We were a young, happy couple, building a home and life together. There were wedding and baby plans. Future holidays and happy memories. Families who loved us and each other. All looked impossibly calm and happy. And maybe that was the problem. It all seemed just like it is suppose to seem, but somewhere down the track we forgot to pay attention to how we actually felt within. If it looked good on the outside, than we must have been getting it right. Except that we weren&apos;t.
I had a big hole in my heart that I wanted him to fill. I needed him to make me happy and content and I blamed him when he couldn&apos;t. I am sure he did the same. We were both looking for love outside of ourselves, expecting it to heal what was happening inside. Read the restof Dragana&apos;s post here. Susan Taylor of One Woman Circus advises parents to lower their expectations of taking holidays with children in her post WARNING - kids and holidays don&apos;t mix. The winner of iBlog Friday this week will win the awesome Navman Move 50. Sash Milne of Inked in Colour does her best to raise balanced children with out gender stereotyping in her post Fostering creativity: gendered toys and stereotypes. I don’t visit the toy section of department stores very often, but when I do I’m not surprised that they are always separated between girls toys and boys toys. The girls aisles are a sea of pink and sparkles and the boys aisles are solid walls of battleship grey and construction yellow. Sure, it leaves a lot to the imagination. But just shrugging our shoulders and saying, well what can you do? as we purchase mountains of colour coded gendered plastic, is that really good enough? Read the rest of Sash&apos;s post here. 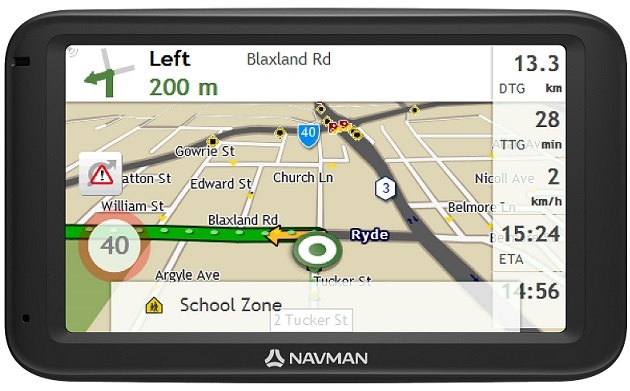 The Navman Move 50 is the perfect sat-nav for those who aren&apos;t keen on mastering new technology or drivers who haven&apos;t used a GPS before. It has a large 5.0 inch screen and simplified menu that features bigger and less icons to help you find information quicker and easier. The Move 50 is availabe for under $130 at selected retailers including Repco, Tartet, Autobarn, Big W, Bing Lee and Supercheap Auto.